Mickey Mantle was one baseball’s most effective switch-hitters, running up his batting average as a leftie but also regularly knocking home-runs over Yankee Stadium’s fence with his right. Manny Pacquiao won 10 boxing titles as a cross-dominant fighter, Evgenia Kulikovskaya switched her racquet from hand to hand while playing at Wimbledon, Akshay Karnewar earned cricket stardom in India while bowling with either hand, and in the barroom-friendly sport of snooker, Ronnie O’Sullivan became one of the top players in the game’s history by sinking left-handed and right-handed shots with equal ease. Ten years ago, few people devoted much attention to aperitif wines—but bartenders, sommeliers and pretty much everyone interested in good drinks has changed their tune when it comes to vermouth, quinquinas and other styles of aperitif wines. Long a mystery to most American drinkers, these wines have seen a dramatic boom in recent years, as bartenders became more familiar with the roles these wines play in cocktails, and producers and importers have brought in ever-more-engaging bottles. Today, while such wines have become cast regulars in the cocktail glass, some are increasingly willing to let aperitifs be the stars of the show. As the name implies, aperitifs are traditionally administered to spark the appetite, their combination of acidity, bitterness and botanical magic signaling the palate and the stomach that a meal is about to begin. While many European aperitifs have their roots as medicinal tonics—wormwood-laced vermouth as a vermifuge, quinine-infused quinquinas (in France) and chinati (Italy) as anti-malarials, and gentian-bittered Americanos as a gastrointestinal aid—their role evolved over time. By the mid-to late 19th century, aperitif wines had been adopted as a sort of nutritional supplement, believed to ease digestion and maximize the absorption of nutrients. European immigrants introduced aperitifs into the U.S., but it took the company of whiskey or gin in the cocktail glass to make them a part of the American drinking landscape, beginning in the 1880s. But just as aperitif ’s fortunes rose in the early 20th century—in Europe, as a pre-prandial drink, and in America, as a cocktail component—their popularity began a steady decline in the last half of the century, due to changing tastes, the restriction of health-related claims on alcohol labels, and the rising costs of ingredients such as cinchona bark (which gives quinquinas their distinctive bitterness) as cheaper synthetics entered the market. Some brands, such as Lillet, reformulated to satisfy a changing public; others added updated versions such as the vermouths Cinzano Orancio and Martini Rosé, designed for the same reason. But by the turn of the 21st century, a global culinary movement had begun to click—and eventually, the pendulum of taste swung back in aperitif ’s direction. 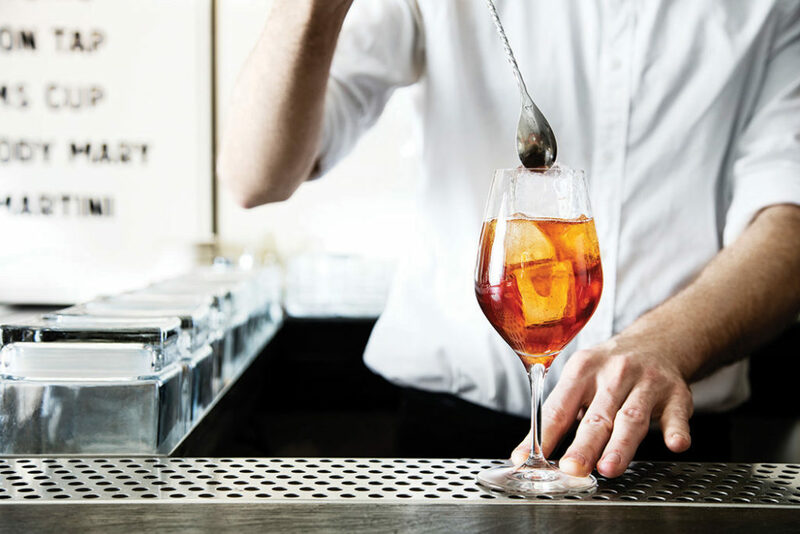 This turn-around became clear as bartenders took a closer look at the mixer in their Manhattans—and, starting around 2006, began coveting a long-obscure Italian brand, boosting the long-sleepy vermouth category into the limelight. Bartenders started looking for other stellar expressions and styles—and importers and winemakers answered the call. 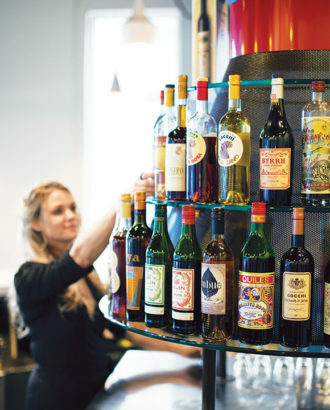 In 2008, Minnesota-based Haus Alpenz—headed by Eric Seed—introduced a trio of vermouths from Dolin, a French producer in Chambéry making wines aromatized with airy, alpine botanicals; Dolin Blanc, an AOC-designated wine that’s mildly sweet and vividly herbaceous, became a particular favorite. Seed also sought out Italian winemaker Giulio Cocchi Spumanti, and in addition to importing two of the winery’s Americanos (more on those in a minute), in 2011 revived their production of a classic Turin-style sweet rosso vermouth, Cocchi Vermouth di Torino. Meanwhile, domestic producers were at work. California winemaker Andrew Quady rode the resurgence of interest in vermouth with his Vya line of vermouths, adding a New World spin to classic Old World dry and sweet styles. Other producers ventured in more paradigm-shifting directions: San Francisco winemaker Carl Sutton created a spice-rich California vermouth for Sutton Cellars, Oregon-based Imbue Cellars added botanicals including chamomile, orange peel and elderflower to a Pinot Gris base for their Bittersweet Vermouth and Petal & Thorn aperitif wine, while in New York, Atsby and Uncouth Vermouth pioneered new aperitif styles, adding everything from anise to lavender to serrano chiles, pushing the tradition-bound vermouth category into new and unexplored terrain. Seeing the surge in vermouth’s popularity, some European producers have reached deep into their historical recipe catalogs, while others are upscaling their brands for a suddenly vermouth-curious audience. In 2014, Tempus Fugit—a producer of historically driven spirits and liqueurs—introduced Alessio, a range of wines developed using 19th-century recipes, including the classic Turin-style Vermouth di Torino Rosso, as well as a boldly bitter Vermouth Chinato, with an added ration of cinchona bark joining the wormwood as a bittering agent. That same year, Carpano followed on the success of its Antica Formula by introducing a dry vermouth to the U.S., and in 2015, French producer La Quintinye introduced a range of classic-style vermouths made with an aromatic base of Pineau des Charentes (a mistelle that’s a close cousin to Cognac). 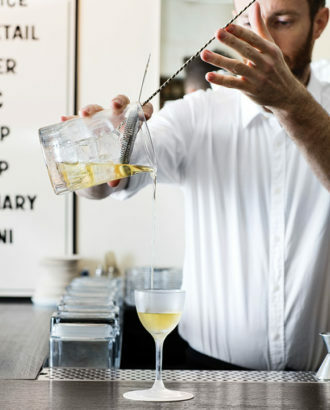 Seed says bartenders were also eager for Americanos, a wine typically from Italy (the name a derivative of amaricante, an Italian term for “bitter” and related to the more familiar amaro), with an earthiness from gentian root, a citrusy brightness and a light, crisp bite from cinchona. In response, he sought out an Americano from Cocchi, based on Moscato d’Asti, along with the winery’s softer, sweeter Americano Rosa, based on Brachetto d’Acqui. He then fleshed out this category with wine-based aperitifs including Cappelletti Aperitivo Americano Rosso. Based largely on the plush character of Trebbiano, Cappelletti has a garnet-red color and a distinct citrusy snap to its bitterness, making it useful as an ingredient in Negroni variations, especially in restaurants that are licensed only for beer and wine. The aperitif tradition gradually faded in France, Italy and Spain, but a turn-around is underway. In the Catalan city of Reus, Spain’s historical center of vermouth production, guides lead walking tours of the city’s vermouth heritage, and a vermouth museum—part restaurant, part bar, part true museum—showcases the wine’s rich history. Spanish vermouth brands including Yzaguirre, Lacuesta and Miró are increasingly spotted in American wine shops, and Miró is a particular pick in Barcelona’s burgeoning vermouth bars, which serve a tap-dispensed rojo (akin to an Italian rosso) over ice with olives and a slice of orange, alongside a small tray of potato chips and another of green olives, all for around five Euros. 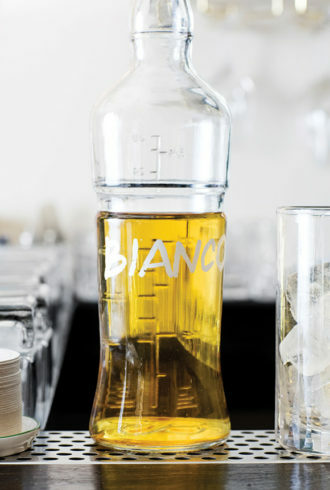 Brands such as Byrrh have freshened up their packaging, and wineries like Cocchi have resumed production of once-defunct products. Seed says this may only be the start. An icy cold take on a Mexico City street-cart favorite.